2BD/2BA Colorado Springs Executive Condo with Mountain Views. Wonderful location on the S/W , mountain front range out of your kitchen window to include a park across the street with a special dog walking trails. 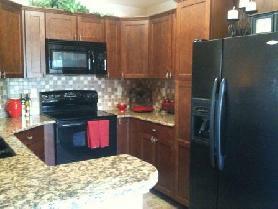 This home is a delight with granite kitchen counter and morning room breakfast area and also a counter bar. Living room has a walk out balcony to enjoy the Colorado splendor. Home is very well appointed you will not be disappointed. Included is a one car detached garage with in walking distance of the front door. Home is close to Ft. Carson, downtown government offices, Pikes Peak Zoo , Motor City and much more. To view more photos, maps, and information about this great condo, please click here. 2BD/2.5BA North Colorado Springs Town Home. Spacious floor plan with hardwood floors on main level and a counter bar in the kitchen. Living room has a large flat panel TV and a walk out west facing deck. Master bedroom also faces west with beautiful mountain views and attached bathroom. The second bedroom faces east with rock and hillside views. Home is close to Peterson & Schriever Airforce Base, Sky Sox Stadium, Shopping, Dinning, and More! To view more photos, maps, and information about this town home, please click here. 2BD/2BA Condo on the Northwest Foothills of Colorado Springs. Enjoy this Northwestern Condo with: new cork flooring throughout, carpet in bedrooms, and spacious kitchen with counter bar and separate dining. Open floor plan with walk out balcony, fireplace and tastefully decorated. 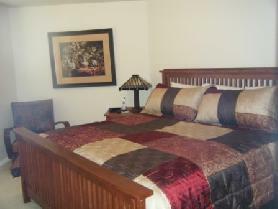 Master bedroom has a king bed with walk in closet and adjoining full bath. Second bedroom is at other in of home with full bath room outside of door way. Lovely home and so convenient to downtown, highway access, shopping, dinning, and the Air force academy. To view more photos, maps, and information about this convenient condo, please click here. 4BD/3BA Spacious Colorado Springs Home with a large patio and gorgeous views. Spacious updated ranch style Patio home with Hickory hardwood floors on the main level. Home features large master bedroom with attached 5 piece bath and an additional bedroom on main with anouther full bath. 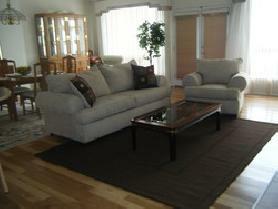 In addition there is a large family room in lower level with 2 more bedroom and private full bath. Home features great yard with mountain views that backs to open space. Included is a membership in the association which includes use of their swimming pool. To view more photos, maps, and information about this happening home, please click here. 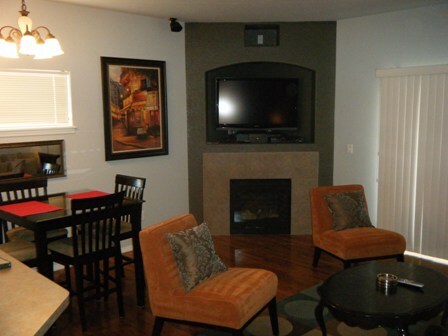 To view all of the fully furnished corporate housing rentals that AvenueWest Colorado Springs has to offer, please visit us at http://ColoradoSprings.AvenueWest.com or give us a call directly at 719-442-4337. We are a full real-estate brokerage offering full property management services to private property owners; fully furnished corporate housing; unfurnished rentals; and real-estate sales. Contact us above to determine how we can help you!